Have you ever seen a tree on a managed property completely engulfed by a vine? 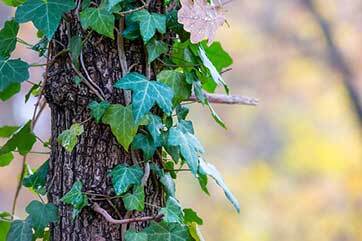 I’ve often wondered why a vine would be allowed to grow year after year, inching its way up the trunk of the tree and spreading out onto branches, knowing that it will eventually kill the tree. Perhaps the landscape manager never looks up and has no idea what’s happening overhead. My guess is that’s not the case. Most landscape managers are highly perceptive and aware of what’s on their properties. My guess is it’s much more insidious than simply oversight. Because the vine creeps ever so slowly and without fanfare, there is not a sense of urgency created. The vine is allowed to live another day because it can be remedied another time. The problem is eventually the vine kills the tree. We all have vines in our lives. Vines are things that we are aware of. We know we need to do something about them but the urgency isn’t there–at least not today. We also know that eventually the vine will cause great harm, but not today. So, we ignore the situation and let it grow. Just like the vine on the tree, we eventually begin to forget about the vine altogether because it becomes part of the scenery. We get used to its existence. If you have ever tried to remove a vine from a mature tree, you know what a hassle it is. Just think of how much easier it would have been to remove the vine when it was younger, smaller and less pervasive. The longer a vine is allowed to grow, the more of a mess it creates, and the more difficult it is to remove. Therefore, the best time to remove a vine is today, not tomorrow, next week or next year. Every day it grows stronger and becomes more entangled in our lives. Letting it grow another day is the worst decision we can make. Stop for a moment and think about what vines are in your life. What are you allowing to grow another day that really just needs to be cut at the base and terminated? Why not take care of these vines right now before they reach the top of the tree and the damage is irreparable?